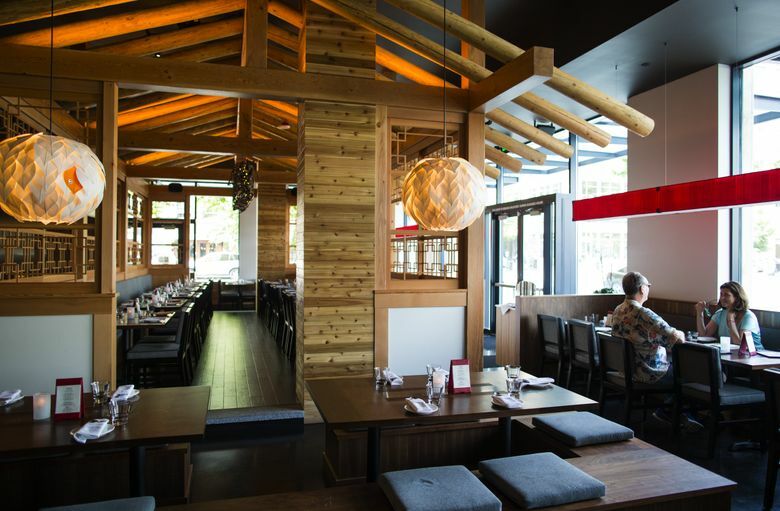 The striking new Pioneer Square space does top-flight food. There has long been a trail of traditional Korean restaurants along Highway 99 from Lynnwood to Federal Way, but it’s taken awhile for Korean food, known as “hansik,” to go mainstream. This will be its breakout year, predicted Technomic, a firm that does food-industry research and analysis. They were right. Hansik is hot — in every sense of the word. 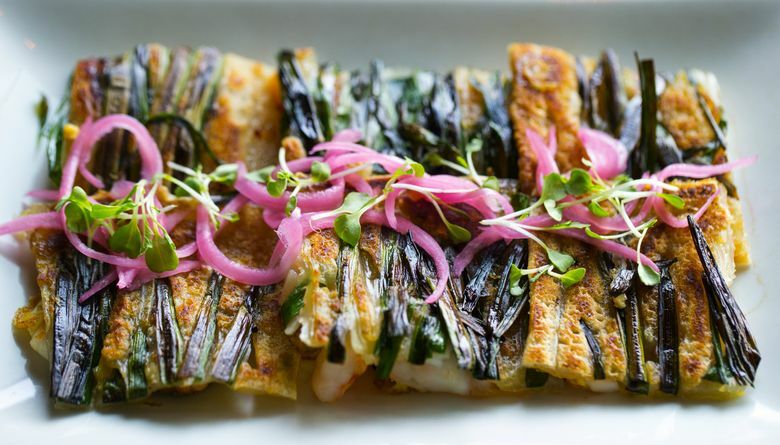 The slow fermentation of upscale Korean dining began here in 2008 when Rachel Yang and Seif Chirchi opened Joule. 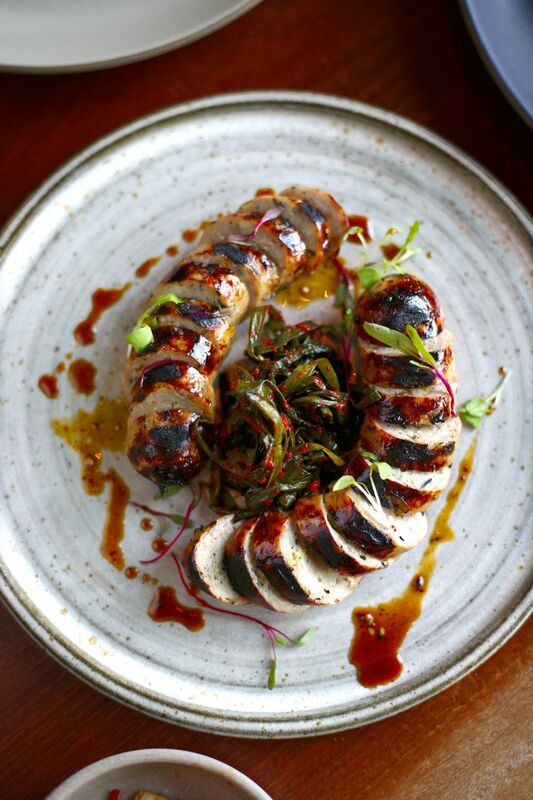 Four years later, Heong soon Park impressed critics with his modern take on the cuisine of his homeland at Chan. 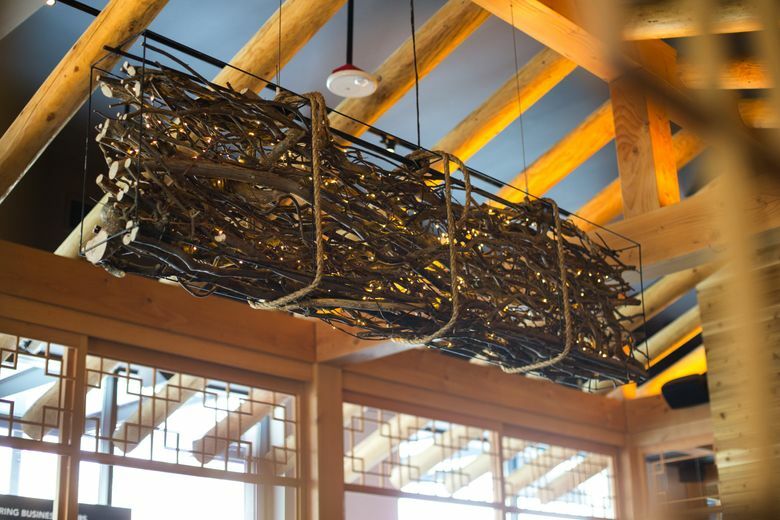 Within the past year, Yang and Chirchi unveiled Trove, a 4,000-square-foot multiplex anchored by a Korean barbecue restaurant. Now from Steven Han & Co. comes gorgeous Girin, occupying 5,400 square feet in Pioneer Square. Who should go: It’s an ideal gathering place for groups; expands pre- and post-game options for sports fans; others note there’s a TV in the bar, which dispenses excellent cocktails; there is usually plenty of room in the dining room during a game. Girin is named for a mythical beast that represents good fortune. 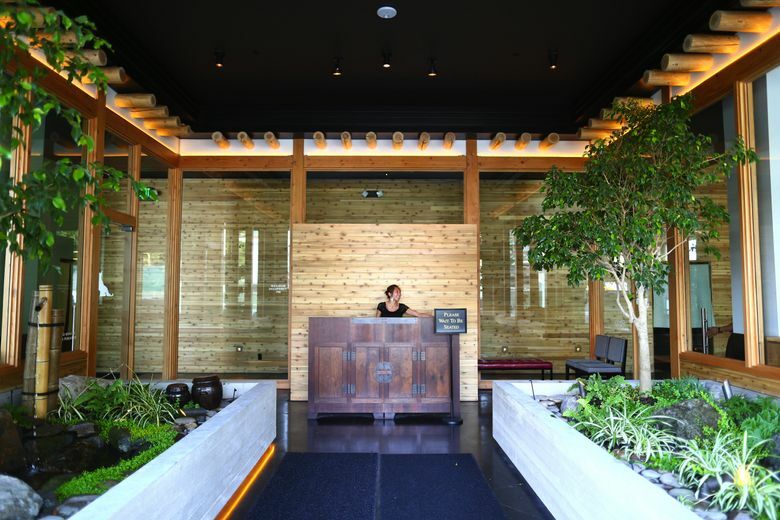 The restaurant is visually striking from the moment you step into the tranquil garden lobby. That glass-walled oasis separates the compact bar and lounge from the capacious dining room, where a stylized version of a traditional Korean log house creates a room-within-a-room, making the vast space feel more intimate. 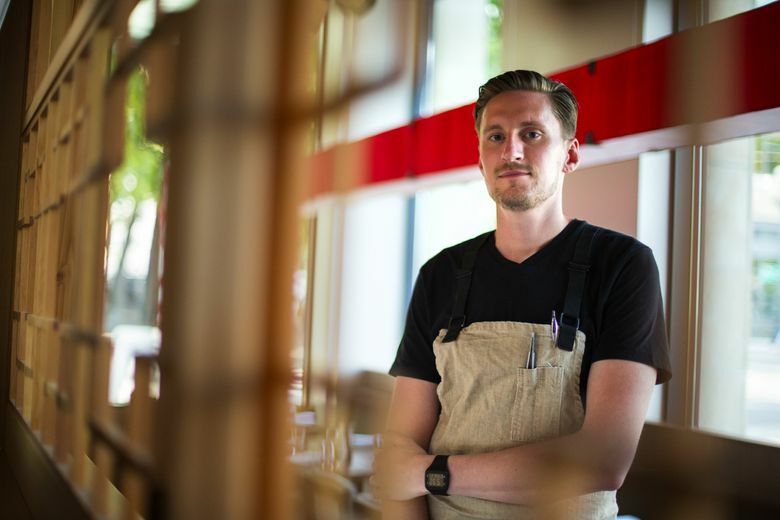 If you approach Girin from its South King Street flank, you can peer into the meat locker and the room where Kirksey breaks down beef and pork into the steaks, chops, ribs, belly and sausage meat that will become the centerpieces of ssam plates. 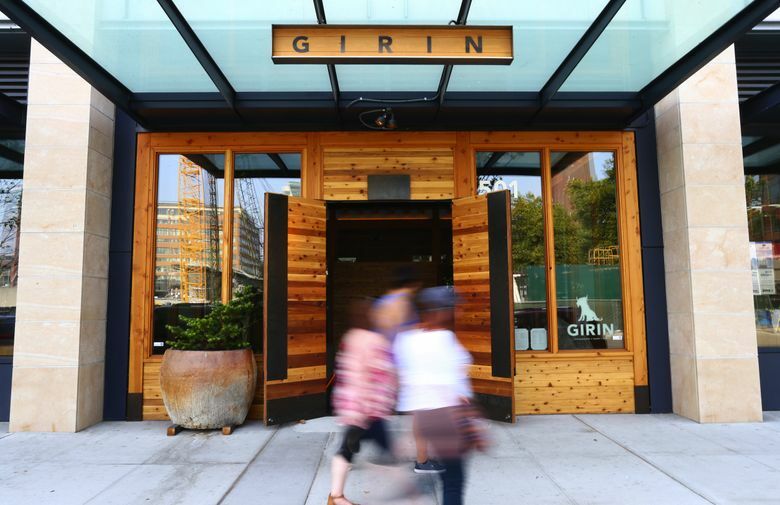 “Your first time at Girin you have to have ssam,” said our server, a soft-spoken, enthusiastic guide to the cuisine of her native land. Ssam refers to the ritual of wrapping bite-size bits of protein in lettuce or perilla leaves (shiso in Japanese). 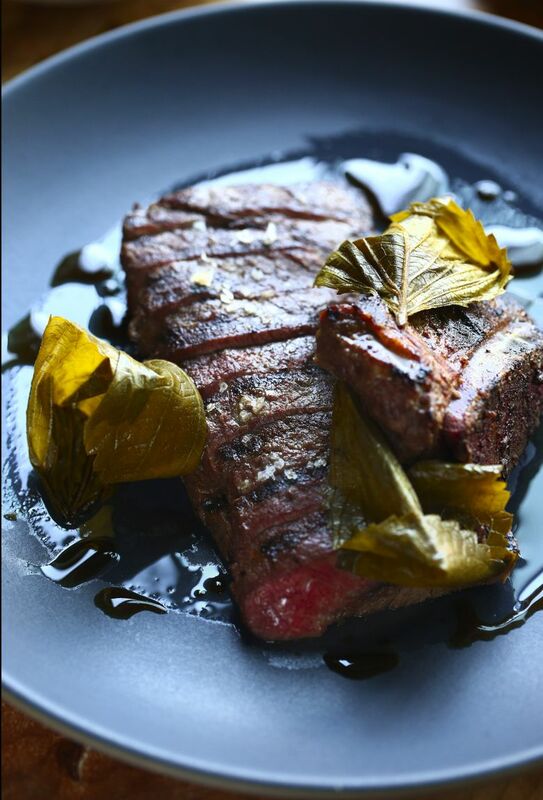 Those proteins include slices of exquisitely soft, braised pork belly, gingery pork sausages and sweetly glazed, kalbi-marinated beef short ribs. In the lettuce leaf, along with the meat, you might tuck vegetables (chrysanthemum leaves and fresh or pickled radish) and aromatics (raw garlic and chilies). Definitely add a dab of ssamjang, a potent sauce made here with fermented soy bean paste, garlic, chilies and touch of Local Bee honey. 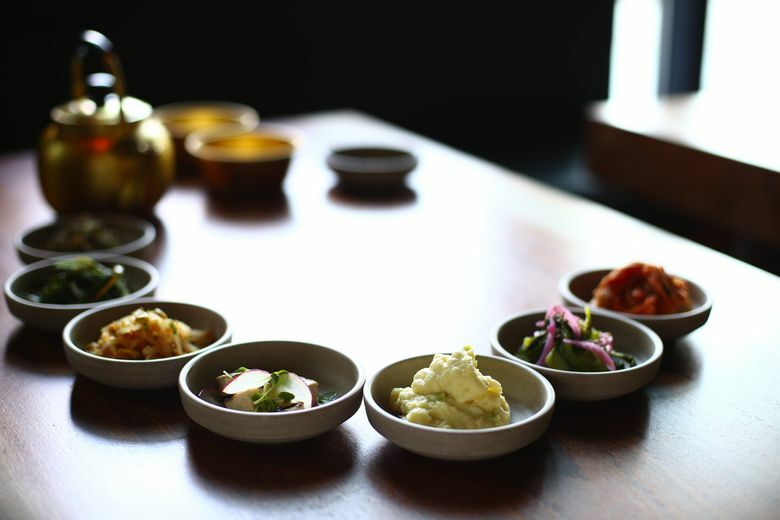 Ssam plates also come with banchan, a handful of little accompaniments that will be variously salty (dried baby anchovies with almonds), spicy (cabbage kimchi and bok choy with garlic), savory (sautéed squash with fish sauce) or cooling (sea beans and creamy potato salad). Meat from braised pig’s feet are fashioned into marble-sized “trotters” that are panko-breaded and deep-fried, the porcine equivalent of chocolate truffles. The trotters were set among deep-fried, seasoned pork rinds — puffed up clouds that crackle appealingly before melting in your mouth, leaving a trail of salt, sweet and heat. Pea vines gave a summer lift to sliced morels and thumb-sized rice cakes richly glazed in soy. Radish, cucumber, kimchi bok choy and mustard seeds enlivened a cool tangle of delicate, house-made buckwheat noodles. Diced pork belly and tofu skins packed a bubbling kimchi stew that was fiery, but not out of control. 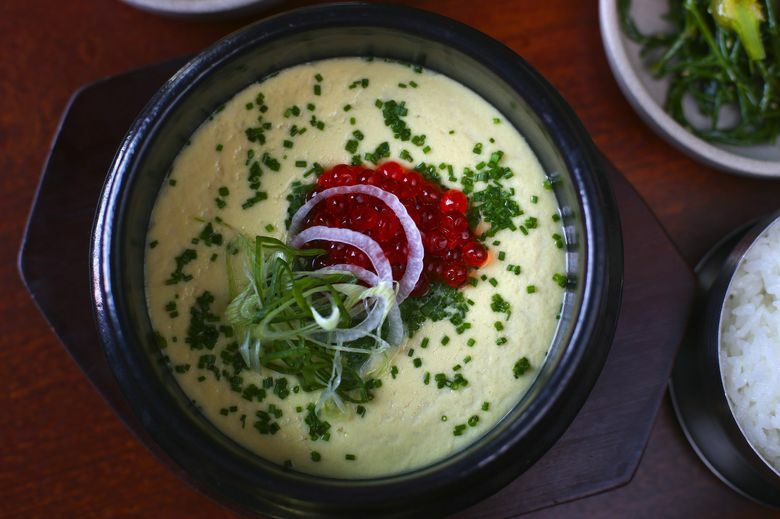 Warm egg custard, rimmed with chives and topped with salmon roe, lulls the heat-fatigued palate. 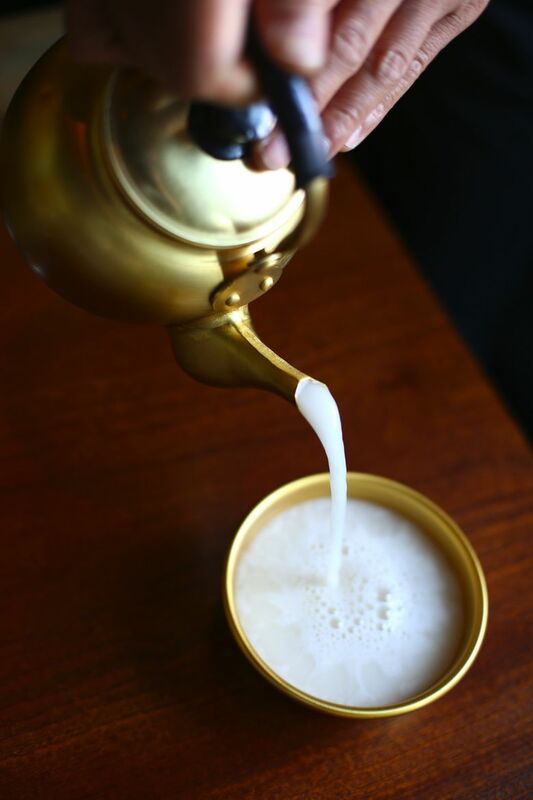 So does makgeolli, a rice-based, fermented beverage made in Korea for thousands of years. 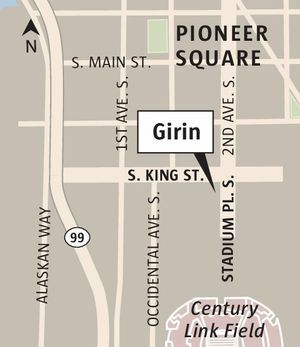 Girin makes its own. Poured from a coppery pot into shallow metal bowls, the chilled brew looks cloudy, like unfiltered sake. Less filling than beer (and higher in alcohol when undiluted), it tastes more tangy than sweet, with a refreshing effervescence. If the drink isn’t sufficient to quell the lingering effects of garlicky goodness, the homemade ice cream should do the trick.